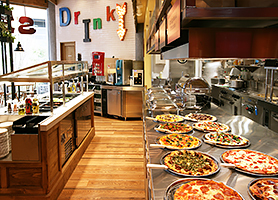 A family restaurant that evolves with the times and is indispensable to the society. 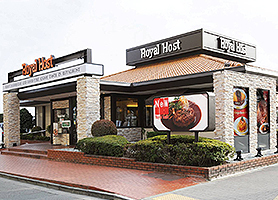 In December 1971, the first Royal Host restaurant was opened in Fukuoka. Now its network spans from Hokkaido to Okinawa, welcoming people from all over Japan. The family restaurant is said to have made dining-out more accessible and changed Japanese dining culture. And now, it is at a turning point due to drastic social, economic, and environmental changes such as the sluggish Japanese economy, growing inbound tourism, declining birth rates and aging population, and increasing awareness for food safety. By addressing these changes and evolving with the times, Royal Host strives to become a restaurant that makes customers happy and is indispensable to the society. 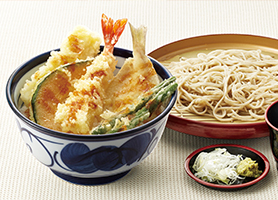 The pioneer of Japanese fast food chain introduces the traditional “Tempura” food culture to the general public. 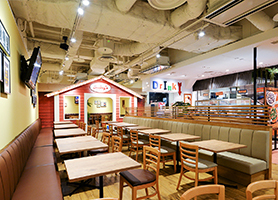 Since the first store opened in the Yaesu Underground Mall at Tokyo Station in September 1989, we introduce the “Tempura” concept, and provide high-quality tempura and tempura rice bowls at affordable prices. 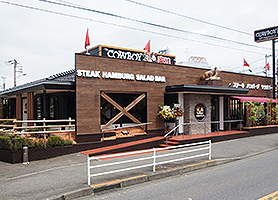 There are now more than 170 locations in the Tokyo metro area and we are now aggressively targeting small and medium-sized cities for new restaurant openings. In 2013, we also opened restaurants in Southeast Asia in order to strengthen our brand in both domestic and overseas regions. 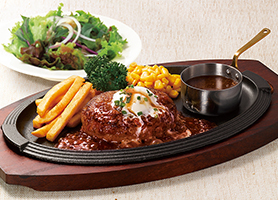 Since the first restaurant was opened in Nerima, Tokyo in December 2010, this family dining restaurant brings the concept of “Tasty food, joy and excitement at our place” where families with children and a broad range of customers enjoy steak, hamburger steak and salad bar. Each of our staff member wears scarf and cowboy hat. The character “Harris Family” is from Texas, and the restaurant is staged to make customers feel as if they were invited to a party at the Harris's home. 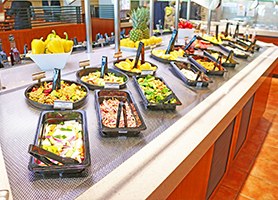 Sizzler, a California-originated restaurant, offers steak and grilled seafood according to their original recipes, as well as salad bar with various types of foods including seasonal fresh vegetables, fruits, hot dishes, breads, and desserts. We have received high reputations from customers by making the most of the finest seasonal and local ingredients which are carefully selected and cooked to preserve their natural flavors. 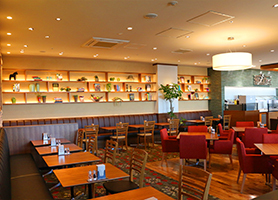 In November 1953, the first authentic French restaurant, Royal Nakasu, opened in Fukuoka. Marilyn Monroe and Joe Di Maggio dined at our restaurant during their honeymoon in February 1954. It was later renamed to “Hananoki” in June 1972 and relocated to Ohori Park in central Fukuoka in May 1989. With the renewal in February 2015, Hananoki continues to be an authentic French restaurant, while providing local-grown seasonal ingredients and hospitality services to customers. 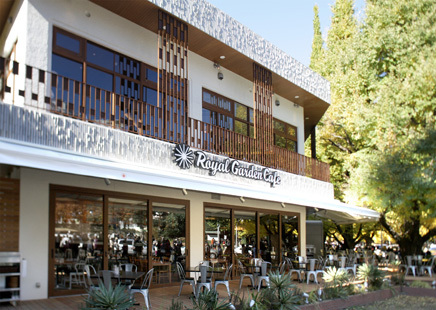 The first Royal Garden Cafe opened in December 2008 at Meiji Jingu Gaien under the concept of "creating a sustainable community“. It aims to be an indispensable part of the community by serving with the follow-ing themes, “Visible food = visual food safety and security”, “Recycle style = recycling of food and materials” and “Local community = nourishing communication”. Pinkberry is a frozen yogurt concept founded in West Hollywood, California in 2005. It is a leading brand in the U.S. and has 267 locations in 23 countries as of June,2015.The original frozen yogurt is made with non-fat milk and non-fat yogurt with daily hand-cut fresh fruits and various toppings. It is also a popular treat amongst Hollywood celebrities. Born from the third wave coffee trend in the U.S. West Coast, Standard Coffee offers a new style combined with Royal’s signature bakery and pastry. Each cup of coffee is carefully hand dripped to accentuate their natural flavors. Our coffee beans are come from a single origin where we can trace from farm to cup. British chef Rose Carraini and her husband, Jean-Charles established Rose Bakery in Paris‘s 9th district (Montmartre) in 2002. 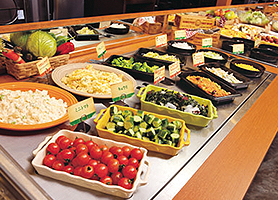 The concept is “simple & natural” and it uses selective ingredients such as organic vegetables and grains. Their cuisine brings out the natural flavor of each ingredients, and their simple and unique pastries are highly rated. Rose Bakery is popular among local customers and foreign visitors. 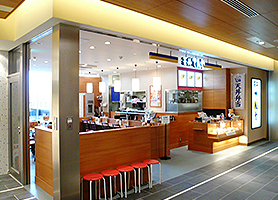 The first Japan outlet opened in Marunouchi, Tokyo in February 2011, and currently serving 5 locations. COPYRIGHT 2019 ROYAL HOLDINGS CO.,LTD. All rights reserved.